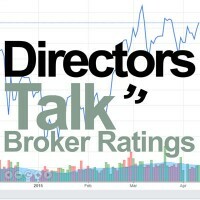 Avacta Group PLC (LON:AVCT) is the topic of conversation when Hardman and Co’s Analyst Dr Martin Hall caught up with DirectorsTalk for an exclusive interview. Q1: We’ve seen the announcement today that Avacta Group have agreed an Affimer therapeutics development partnership, can you explain to us what exactly the Affimers are? A1: I think that most people would have heard of antibodies and I think it’s fairly well-known that drugs derived from antibody technology has been very successfully commercially. We believe that they generated sales of just under $100 billion in 2017, that is despite having some fairly well-known disadvantages and there is some degree of difficulty and a long time to make antibodies. Therefore, the way to think about Affimers is that they are the next generation technology to antibodies and given that they’re small and quick to generate, they’re flexible and able to overcome those disadvantages. Now, AVCT is the owner of the Affimer proprietary platform and the deal announced today with the Life Sciences division of LG Chem, it’s a huge endorsement of this Affimer platform. Q2: Is the deal with LG Group the first licensing deal for Affimers? A2: The straight answer is no. The company has been developing its Affimer technology for a few years, like antibodies, it can be used in research as diagnostic reagents and also as therapeutic drugs. They have signed some deals in the recent past for research and diagnostic use, it’s also allows access licences to the technology for the pharmaceutical and biotechnology companies in order for them to validate the technology. So, the answer is no, this is not the first Affimer deal, but it is the first one that is deemed to be important. Q3: So, why is this deal the most important to date then? A3: Well, this deal with LG is important because it’s the first with a major pharmaceutical/biotech company and it goes well beyond a simple validation access license. For example, it includes an upfront payment, it’s got near and medium term development milestones and in the longer term, it’s got the potential to generate a royalty stream on any successful commercial drug. So, it’s a huge endorsement of the Affimer technology and it also validates their business model of generating this type of deal as opposed to the original antibody deals which were purely for a supply and service only and no royalty stream. There are two parts to the LG deal and together they’ve got a headline total value of up $310 million which of course would be significant for AVCT. Q4: How does this deal compare with other similar deals in the sector? 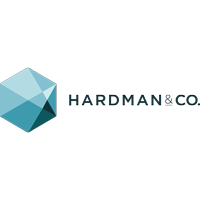 A4: The Hardman Life Sciences team maintains a database of licensing deals for pre-clinical oncology assets with respect to upfront payments and those headline valuations. Those deals indicate median values of $30 million upfront and $500 million in total. So, this deal is a little bit lower than those but certainly, the deal with LG is broadly in line with those medians from 22 other pre-clinical deals over the last 3 years. Also, for a factor, this deal should also be considered in the context that Affimers have not yet been clinically validated and that event is expected to happen during 2020 so it’s not a bad deal given that it’s a slightly early-stage maybe than some of those other ones. Q5: In terms of company valuation, how do you see Avacta Group PLC? A5: The title of our research report this morning say’s it all, ‘wake-up call for the market’. 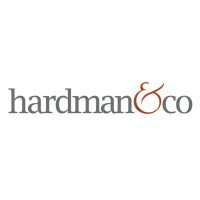 To get the company to where it is today, about £40 million yet if you take the share price on Friday’s close, it was trading on a market capitalisation of just £26 million. Given that several major companies are nearing completion of the validation work for the Affimers, as I mentioned earlier, this deal with LG could be the first of several more and really act as a catalyst of more being done. We expect that each subsequent deal is likely to be on better terms for Avacta so very important and it makes the valuation of the company look quite attractive.